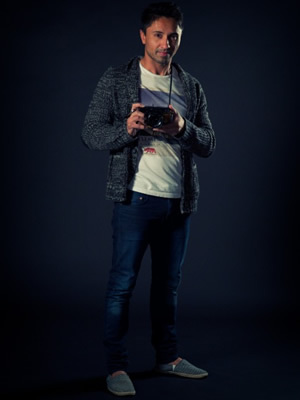 Jemore Santos is an experienced motion and stills photographer, specialising from lifestyle, editorials to time-lapse. Using the latest motion control equipment from Dito Gear, Jemore has been able to utilise complex camera movements which were incredibly expensive or unrealistic only several years ago. Operating the two metre DitoGear Omni-Slider for smooth, faultless time-lapse dolly movements partnered with the DitoGear Omni-Head for a 3 Axis movement such as pan, tilt and dutch, all in smooth motion control for time-lapse, also part of the kit is the DitoGear Lens Drive for smooth follow focus or zoom for time-lapse. Working with directors and cinematographers on time-lapse solutions for television commercials and series, can sometimes be painstaking. Camping out in the middle of nowhere, capturing the galaxy for hours on end or only having that one chance to get a magical sunrise, this is what an experienced time-lapse photographer has confidence in. Carefully calculating exposure, shooting length and screen time well before the first shutter has been released, knowing the workflow of ingesting thousands of images to one smooth motion sequence. That is the difference between a dedicated time-lapse specialist and a photographer with a timer remote. Having worked with the Sydney’s reputable boutique productions houses such as Good Oil Films, Film Construction and Rotor Studios, Jemore is capable of producing amazing time-lapse solutions at an affordable rate.